Our vanilla in the image above has exploded in vanillin crystals and is incredibly rare. Less than 8% of our cured crop will ever develop these iridescent downy beauties. But as a small fanatical producer this is what we are best at: producing artisanal batches of the strongest vanilla in the world. Nowhere at retail will you see crystals like these exploded on vanilla beans in profusion. 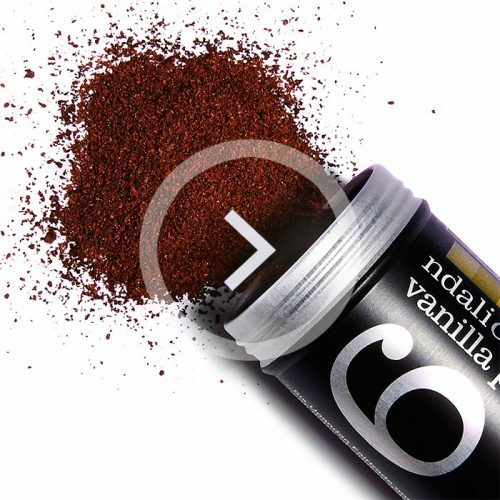 The presence of crystals means the vanilla is exceptionally high in vanillin: the mark of vanilla strength. 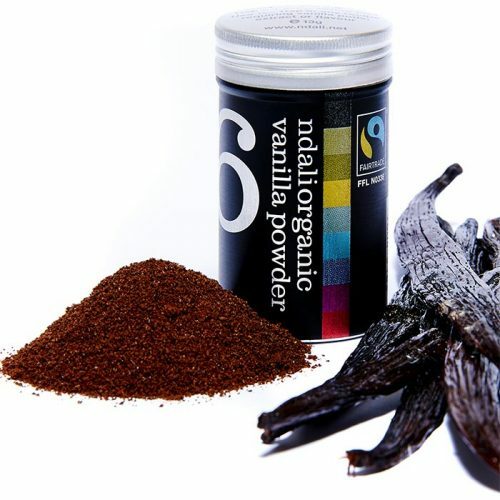 Vanillin is the compound responsible for the typical aroma we associate with vanilla and will only form when the beans are exceptionally ripe – harvested when they are turning yellow, or beginning to split at the tip; and when they are then cured with sensitivity to nurture the vanillin. The rare white or iridescent crystals can look like an explosion of downy frost, fine hairs, or shards of fibreglass. 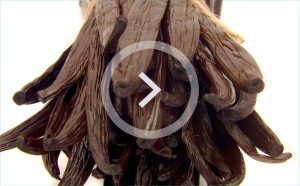 Do not confuse them with mould which looks quite different and will often emerge on vanilla harvested prematurely, or which has been poorly conditioned during curing. It is around these crystal beans, our pride and joy, that we put together our Ndali Vanilla extract and vanilla powder, and Ndali Vanilla Intense tubes. 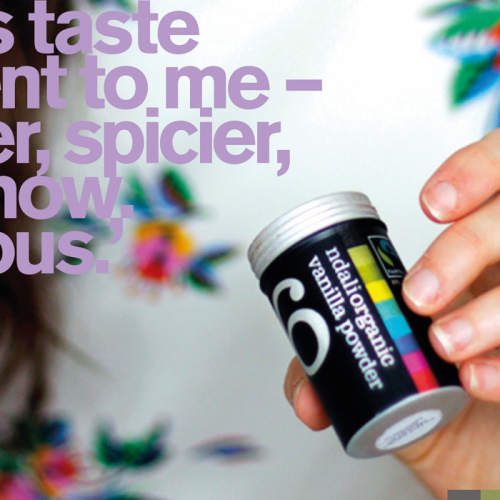 And that’s why our vanilla powder sometimes sparkles with tiny ‘diamonds’. And that’s why our vanilla extract has no fortifying sugar in it, yet has a purer butterscotch sweetness of its own, and why it has a bright ochre red colour, imparted by the very ripe vanilla beans. Kevin Gould is a multi award-winning journalist, author, broadcaster and photographer. He travels extensively, among other things writing about and photographing food and exotic places for the Guardian, The Financial Times and the world’s loveliest food magazines. Mark Hix is an English chef and restauranteur. He has opened a number of restaurants including the distinguished Hix Oyster and Chop House in Smithfield, London, all to great critical acclaim. He created marshmallows with the Ndali Vanilla powder and the dish is on the menu at Hix Belgravia. Ravinder Bhogal is an award-winning food writer, journalist, stylish and television personality who was propelled into the culinary limelight when crowned Britain’s New Fanny Cradock by Gordon Ramsay on Channel 4’s The F Word.